As 2018 draws to a close, I'm wrapping up my reading for this year and looking ahead to my reading and blogging goals for 2019. 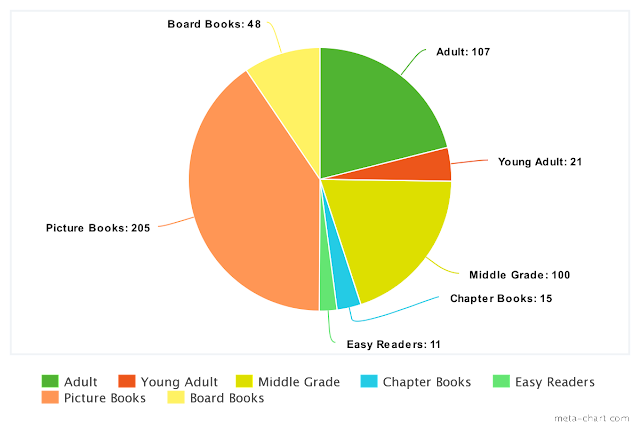 This past year, I read just over 500 books, including over 100 books for adults, about 20 YA books, 100 middle grade books, 15 chapter books, 11 easy readers, over 200 picture books, and over 40 board books. (See more on these stats in my post from last week.) In today's post, I'll round up my top 25 reads of the year (listed in chronological order based on when I finished reading them), and then list my goals for the new year. Allow breathing room. The past couple of years, I have been reading a lot, trying to get as many books read each week as humanly possible. This meant that I never felt like I could take a night off to focus on something else, and that if something else came up, I felt guilty for all the reading I wasn't doing. This year, I want to slow the pace of my reading a little bit more, both by reading fewer books (my Goodreads goal will be 400, down from 500) and by only reporting what I've read at the end of each month, instead of every week. This means I'll be participating in It's Monday, What Are You Reading? 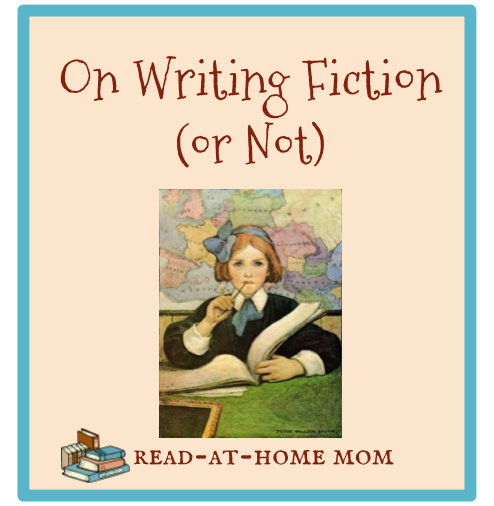 only at the end of each month, and I also plan to join Feed My Fiction Addiction's Monthly Wrap-Up Round-Up. Devote more time to reviewing books and writing blog posts. To go along with my first goal, I also want to really focus more on writing book reviews and reflection posts this year. 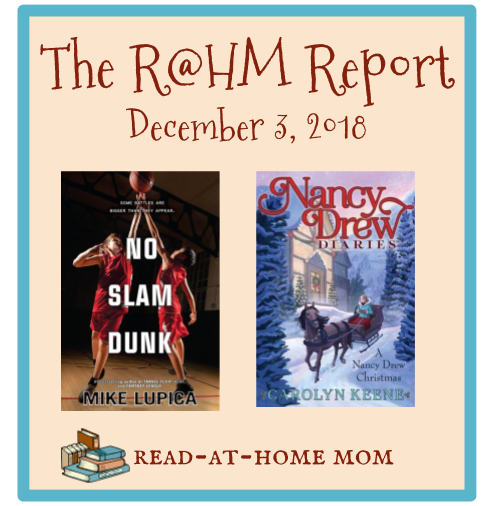 I fell way behind in reviewing books toward the end of 2018, partly because I was spending too much time reading, and partly because I was scrambling to post a weekly update about my reading. I hope that by reporting on my reading only once a month, I will free up time to work on writing other types of posts. Re-read the Harry Potter series over the entire year. I have never re-read this series in its entirety, and I have only ever read the first three books one time each. I have made myself a schedule so that I will read a few chapters every week, and by the end of the year, I will have completed the series at a nice leisurely pace. I haven't decided yet whether I will blog about each week's chapters. 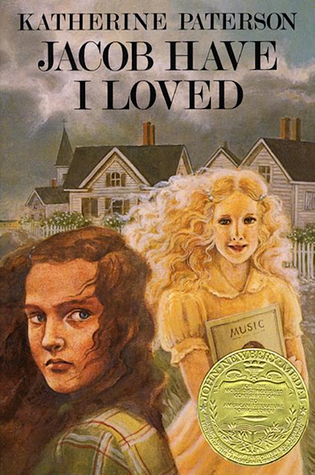 Read books by Katherine Paterson. In 2018, I did an author challenge where I aimed to read 16 books by Betsy Byars. Though I've decided not to participate in that challenge again, I did like the idea of choosing an author to spend the year with. After enjoying her essay collections (Gates of Excellence and The Spying Heart) so much, I chose Katherine Paterson. We own a bunch of her books that I've never read, so I should be able to read about one per month. Complete reading challenges. I was more intentional about selecting my challenges for this year. 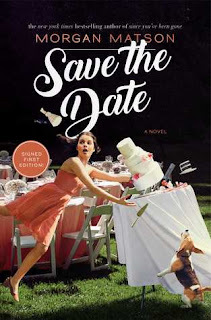 I'm repeating Alphabet Soup, Cloak and Dagger, Craving for Cozies, and Library Love, and adding in Alphabet Soup Author Edition, CathLit, Mount TBR, and the RMFAO Audiobook Challenge. Many of the books I read will count for multiple challenges. All the details about the challenges and my goals can be found here. Simplify challenge record-keeping. In 2018, I tried to keep track of my reading challenges in too many ways - on paper, here on the blog, and on Goodreads. In 2019, I'm sticking with just Goodreads shelves. My mom also gave me a cute reading log book for Christmas that I'll be using to track the novels that I read, but not to track individual challenges. I'll be sharing this post in the link-ups for It's Monday, What Are You Reading? at Unleashing Readers/Teach Mentor Texts and Book Date and Top Ten Tuesday at Artsy Reader Girl. What was the best book you read in 2018? What are your goals for the new year? I am not quite done reading for the year, but I've now officially surpassed my Goodreads challenge goal of 500, so it seems like a good time to look back over my reading and blogging for the year. The most interesting number here is the one for adult books. Back in 2013, the last year I worked in the library, I read only 18 adult books. That number was even lower during 2014 (7) and 2015 (12). In 2016, I read 37 and last year, I almost doubled that number and read 71. But I have never, in all the years I've been keeping track of my reading, read more than 100 adult books, so this was a surprising milestone. Read fewer books. This was definitely a success. I made an effort not to read books just for the sake of increasing my number of books read, and I was also much more selective about ARCs and more willing to mark books as "did not finish." 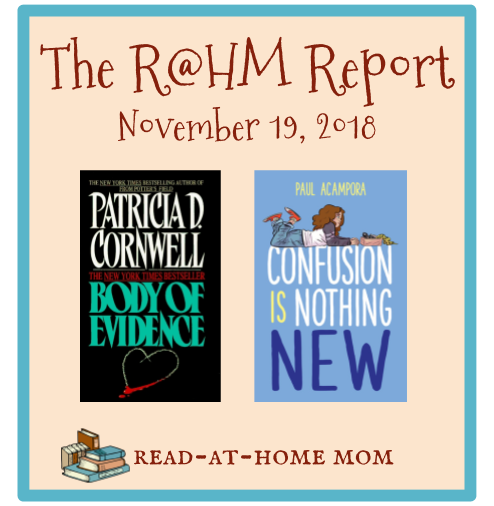 Review more books overall, but fewer books on the blog. I posted 72 reviews on the blog this year, down from 87 last year. I also posted at least 50 additional reviews to Goodreads, so I think I did fairly well. Review books in a more timely manner. I did well with this in the first half of the year, but not as well in the second half. I need to establish designated times for writing blog posts because otherwise I'll spend all my free time just reading. Branch out from book reviews. This happened a little bit, but not enough. I abandoned the Blog All About It and Book Blog Discussion challenges halfway through the year, and I wish I hadn't. Again, this problem ties into the need for designated times for blogging and not just reading. Post blog posts to Facebook regularly. Shortly after I set this goal, I changed my mind and decided that Facebook, with its ever-changing algorithm, just isn't worth all the time and effort it takes to keep it updated all the time. I spent all my social media energy on Instagram instead and enjoyed it much more. Host a #bookstagram challenge. I hosted a picture book challenge in July and another month-long Christmas challenge. Neither was wildly successful, but I have decided to move my Old School Kidlit Reading Challenge to Instagram for the coming year. I have a few followers who said they would participate, and that's more than ever linked up when then challenge was on the blog. Keep a bullet journal. .I did this really well during the winter, but slowly lost interest in the nicer weather. It became clear that what I really want is a reading journal. My mom got me a little pocket-sized one for Christmas so I'll be trying that this year. Stop getting the news from social media. I unfollowed all news outlets at the start of the year (except the newspaper of the town where I grew up and the local weather) and never looked back. I had far fewer "someone's wrong on the Internet" moments and still stayed decently informed of current events. Overall, I'm pleased with how things went this year, though I think there is room for improvement, and I'll be setting some new goals to help with that which I'll share in a post sometime next week. Also look for my list of my top 25 reads of the year, which will be posted on New Year's Day. 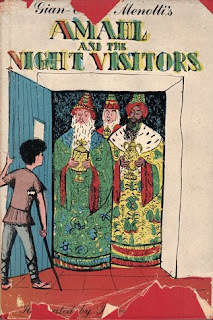 When the Marvell family goes on vacation in this 1947 Newbery Honor book, they think they are leaving their home in the care of their hired man, August. When August falls ill, however, the constellations in the sky come down to take over the household chores in his stead. When the family returns, they find some unusual signs that indicate who has really been looking after their home. The plot of this book is not just far-fetched, it's also not that interesting. But you can tell me almost any story you want if you're going to illustrate it with the beautiful pictures that appear in this book. Ilonka Karasz's pictures of the night sky filled with constellations and of the Marvell family's home glowing with starlight from within are among the most intricate illustrations I have ever seen in a children's book. (The book is online - click and you'll see what I mean. Just beautiful!) 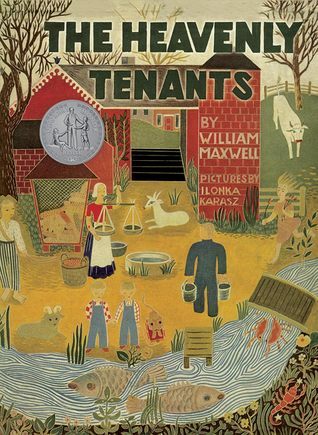 I would have sooner guessed that book would have received a Caldecott Honor than Newbery recognition! 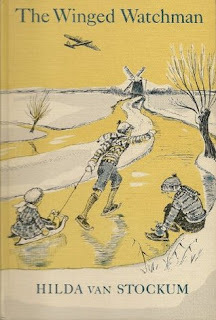 The writing isn't memorable, but those pictures really make an impression, and they certainly wouldn't have been out of place amidst the five honor books chosen by the 1947 Caldecott committee. This book might appeal to the child who has a strong interest in astronomy and learning about the constellations. I'm considering reading it to my five-year-old, perhaps the next time we plan to visit the planetarium. 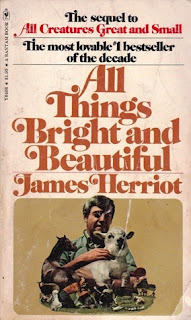 But it isn't a book with a lot of meat to it, or even a clear point, and I can imagine my younger self becoming frustrated with it, even if the subject matter appealed to me initially. I definitely recommend spending some time looking at the pictures because they are just so well-done, but if you don't read the whole story, I can't say you'll be missing much. 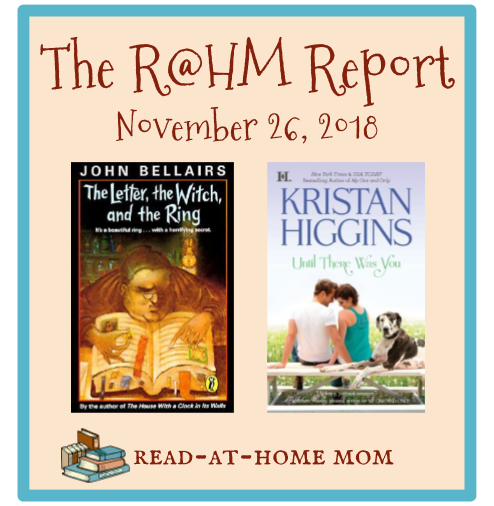 The children in this house have read so many books this Fall it would take a month of posts to discuss them all! So instead of trying to mention every book, I've made a list of the books I have perceived to be the girls' favorites over the past couple of months. This short Newbery honor story about two boys caring for their cattle in the French Alps was suggested as a lunch time read-aloud by my husband. I knew Little Miss Muffet (age 5) would love it, but I was not expecting Little Bo Peep (age 3) to also find it so engaging. It was Bo Peep who would remind me to get the book, listen with rapt attention, and beg for just one more chapter. Typically, she is not that interested in adventure stories, but this one, which has a fair amount of danger and suspense, held her attention from beginning to end. Miss Muffet laughed her way through both of these titles, which she read independently, and during the time she was reading them, spoke incessantly of rhe Saucepan Man and other new "friends" she made in the books. I'm glad to see her responding to fantasy stories, something I still struggle to do as an adult! I haven't read either of these books, but I'd feel confident in recommending them after seeing her reaction. Miss Muffet received books 1-4 of this series earlier this year, and then book 5 at the start of the school year. After she'd read book 5 at least 5 times, my mom sent her some more for her birthday. Of the four titles she received for her birthday (two weeks ago) she has already read three. They are a bit easy for her at this point, but they are great for her to read when she wants to relax. She's always excited to tell me about a new character who comes into the story, and she likes that Sophie is "a girl just like me, but she's a mouse." She also received the first two books in the Heartwood Hotel series for her birthday (also from my mom) and those are a bit more challenging, but she's excited about them because they remind her of Sophie. I read all of the Anastasia books and all of the Sam books back when I was still working in the library, and I remember thinking how great the Sam books would be for a precocious preschooler to hear read aloud. When we found a paperback copy of All About Sam among a bunch of stuff at my childhood home this summer, I brought it home and it was one of our November lunch time read-alouds. Both Little Miss Muffet and Little Bo Peep instantly loved Sam, and they really related to the daily dramas of his young life. It was one of our best read-alouds of the year. I used this book to help teach Miss Muffet about how animals build their homes, and I enjoyed it just as much as she did. Though this is a picture book, it manages to pack in a lot of scientific information, and the illustrations really help illuminate the actions described by the text. On the heels of this book, we also read this author's Who Lives at the Seashore? on Open Library, a book we will likely revisit before we go to the aquarium in February. I have had this pop-up book since Little Miss Muffet was a baby, and finally brought it out to read a week or so ago. Both Little Miss Muffet and Little Bo Peep were in awe of all the little details in the pop-up illustrations and they both cited the chapel and the dungeon as their favorite parts of the castle. I have to keep the book hidden because I know it will get destroyed if it's out where they can handle it any time, but I expect to be asked for it a lot! This book came to Little Jumping Joan (age 13 months) from St. Nicholas, and he (I) received it as a review copy from Nosy Crow. It's a lift-the-flap book, but instead of flimsy paper flaps, the ones in this book are made of felt. This is a stroke of genius in my opinion because not only can a baby not rip a piece of felt in half, she also can't get a paper cut from a felt flap. The last page of the book is a mirror, which has also been a lot of fun for her to explore. This book has gone all around the house with her during the past week, and will probably be by her side until Epiphany when the Christmas books go away. The ending of Cold as Ice left me so worried about the future of a particular relationship that I had to pick up the next book right away. And before I did that, I had to read the novella that came between the two books. So now I only have one book left before I'm caught up! I finished my re-read. It's still good. I'm not sure I'd let my kids read it (I'm aiming for teenage girls who are much less boy crazy than I was), but the nostalgia is strong. This book was kind of all over the place, and the ending felt very abrupt, but I'm happy to have finished out the series. This was a fun read. 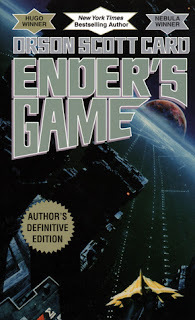 A lot of the books mentioned were popular before my time, but there were plenty I recognized. I stopped reading at chapter 25, which was the goal for December 15th for the read-along I'm doing. I will finish the book by the 29th. I'm still waiting for it to wow me. I'm skeptical of this book so far. The characters just aren't grabbing me yet. I'm going to give it a while longer but maybe there is a good reason I've owned this book for a decade and never read it. I didn't touch this book this week. I'd like to get back to it and finish it today or tomorrow. I only just borrowed this, and read just a few pages. It will be quick once I get into it. I won a giveaway through the Christmas Spirit read-a-thon at Seasons of Reading, and this is the book I selected. I started reading the first few pages just to give myself a preview and got hooked pretty quickly, so I guess I'm reading it now! 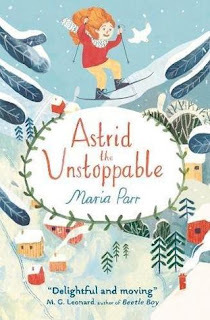 I couldn't find a Christmas audiobook, so I settled for one involving skiing instead. When I finish this book, I'll be caught up on another series! 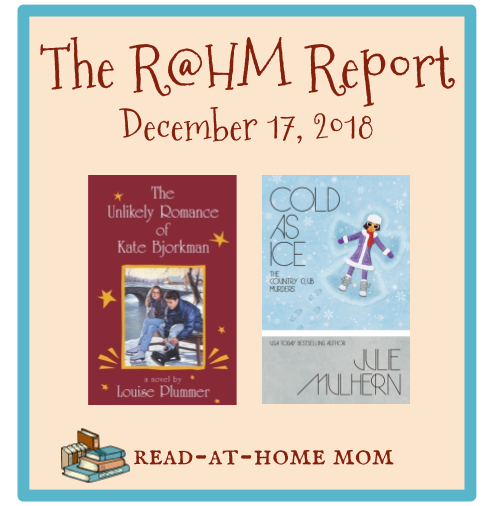 As usual, I'll be linking up today with Unleashing Readers/Teach Mentor Texts and Book Date for It's Monday! What Are You Reading? Sara Louise Bradshaw and her family, including her beautiful, well-liked twin sister, Caroline, live on the island of Rass in the Chesapeake Bay in 1941. Sara Louise feels strongly jealous of her sister and perceives that everyone in her family caters only to Caroline and never goes out of the way to look out for Sara Louise's needs. It is not until Sara Louise is an adult herself that she begins to emerge from the shadow behind which she has always hidden, and to come into her own. 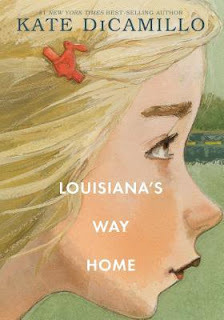 The thing I liked most about this book seems to be an aspect of the story that a lot of readers miss: Sara Louise is an unreliable narrator when it comes to her family. Though she very clearly believes that her sister, Caroline, has received special treatment far beyond what her parents have done for her, and though she feels very slighted, there is not much evidence outside of Sara Louise's own mind that her parents don't actually love her as much as her sister, or value her as a part of their family. In fact, one of the lessons of the story seems to be that Sara Louise's dwelling on her feelings of jealousy toward her sister has been a waste of her energy and has clouded her judgment. I was shocked when I read multiple reviews online from readers who thought that Sara Louise's parents had neglected her. 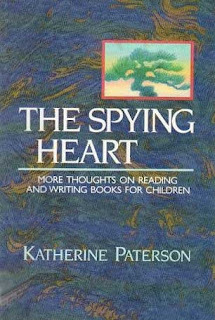 I never felt that way at all when I was reading, and according to a piece in her essay collection, The Spying Heart, Paterson didn't want me to feel that way, even though she recognized that some readers would not catch onto the fact that Sara Louise does not have an accurate view of her family's treatment of her. I was also surprised by the number of online reviews that express abject hatred for Sara Louise. She's not always likable, and she does seem to complain a lot, but frankly, anyone who has been an adolescent girl who doesn't quite fit in has also gone through a phase where she wasn't completely likable 100% of the time. If anything, Sara Louise's flaws make her a more believable character, and a more interesting one. I fell right into her point of view and read straight through the book in a single evening, so engaging did I find her narration, as well as all of Paterson's gorgeous descriptions of the island of Rass and all of the Bradshaw family. Really, it is the imagery of this book that makes it so distinctive, much more than any of the characters. 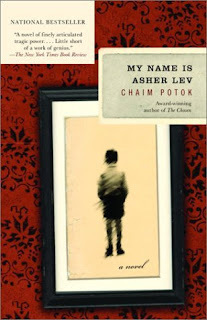 This book is written at a higher reading level than the author's The Great Gilly Hopkins or Bridge to Terabithia, both of which felt strongly to me like books for fourth and fifth graders. Based on that, and the subject matter, which involves the kind of intense feelings kids often have during puberty, I'd say it's best read during the middle school years, between the ages of 12 and 14. I also think Jacob Have I Loved and Bright Island by Mabel Robinson (1937) would making an interesting pairing to compare and contrast, especially since both are Newbery winners, and both are set in island communities. 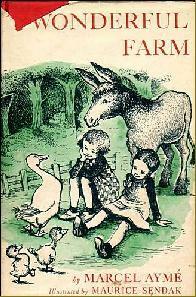 The more I read of Katherine Paterson's work, the more I appreciate her as an author. 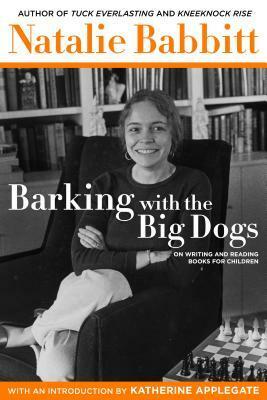 This book has renewed my interest in her writing and made me want to focus on getting some more of her titles read. Teammates Wes and Dinero are both excellent basketball players, but while Wes is more of a team player, Dinero often forsakes the good of the team to allow his own skills to shine. Both boys have picked up their attitudes toward basketball from their fathers. While Dinero's dad is still very much involved with the game, however, Wes's father has come home from Afghanistan with PTSD and a drinking problem that has kept him away from his family, and by extension, away from the basketball court. As the basketball season gets underway, Wes tries to cope with the difficulties in his family life while also helping Dinero to become a better teammate. 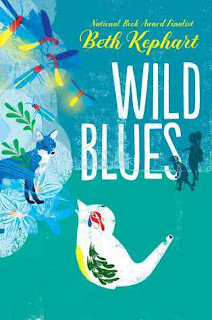 This middle grade novel (of which I received an ARC - thank you, Penguin Young Readers!) is full of strong characters with believable and memorable personalities: Wes's high school librarian mom, his counselor, Mr. Correa, and his friend Emmanuel, as well as his and Dinero's dads, and Wes and Dinero themselves. The conflict between the two boys is more nuanced than those at the center of a lot of kids' sports novels, and I liked that neither Wes nor Dinero is really a villain in the story. They both have life lessons to learn, and basketball serves to help them work those out. I will admit that a lot of the basketball terminology and plays went over my head, but I was still able to follow the general idea of what was going on. 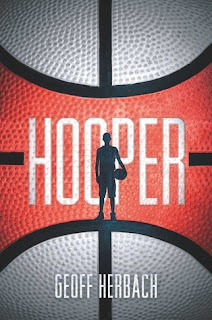 Lupica does a nice job of balancing basketball action with scenes that further the interpersonal relationships that drive the story. The rise and fall of the plot throughout the book feels very natural, and the two main conflicts in the story, between Wes and Dinero, and between Wes and his dad come together nicely as they each reach their conclusions. I guess we're not supposed to like Mike Lupica anymore now because Shannon Hale doesn't like how he acts in public, but I judge books solely on their merits, and this is a good one. It would be a good choice for a reader who has loved Fred Bowen, but needs slightly more of a challenge. I also see some similarities to Chris Crutcher, who always uses sports to help his characters cope with difficulties in their personal lives. Though some of the plot of this book was spoiled for me by Netflix's To All the Boys I've Loved Before, I still enjoyed this second part of the trilogy and all of the storylines that didn't make it into the film. I really want to read book three, but the library holds list is long and says I'll be waiting at least 7 weeks. I listened to this audiobook on a whim and actually thought it was the best Charlaine Harris book I've read so far. Lily is a well-developed character and the mystery was very suspenseful and well-crafted. 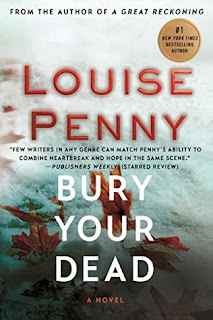 This isn't quite as cozy as this author's Aurora Teagarden series, but I definitely want to read more! This was not my favorite book about books, possibly because I haven't read most of the titles discussed, but it was a solid three-star read. 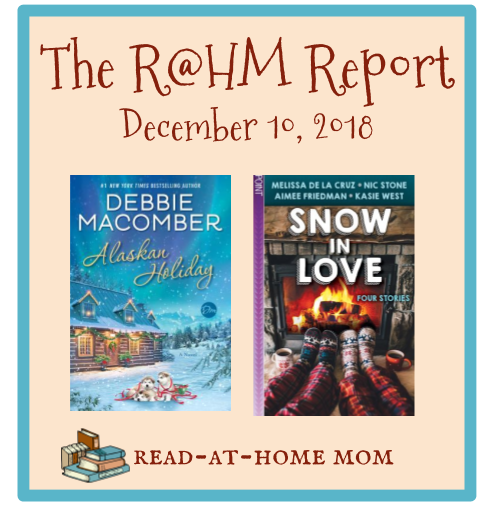 Another enjoyable Christmas love story from Debbie Macomber. I really want to go back and read her other ones set in Alaska. This is a sweet and fluffy book of YA short stories. My favorite was the first story, which was by Kasie West and involved a snowy road trip. The others were fine but not as memorable. I especially disliked de la Cruz's take on The Gift of the Magi because, knowing the original story, I knew how it would end from the beginning. I love this series, and I'm close to being caught up! I'm past the halfway point in this one and really enjoying it, as always. Mulhern manages to make a murder mystery funny without being overly morbid, which I thoroughly appreciate. This book is coming off the back burner this week so I can discuss it with my Instagram read-along group on Saturday. I renewed the audiobook, too, so I can listen while I fold the laundry and get some of it done that way. I was going to rush through this before it was due back to one library, but then I just borrowed it again from another library so I could take my time. I hope to really get into it this week. 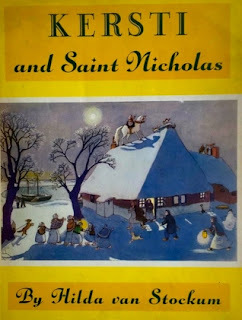 This is my favorite Christmas book of all time, and I've read it many times, but I like to read it every year if I can. I'll probably finish this re-read fairly quickly if I don't decide to save the New Year sections for New Year's Eve. My husband recommended this to me, and it's great. Three fictitious kids and their mother read and discuss four Shakespeare plays. I can't wait to use this book to introduce my kids to the stories of Shakespeare in a few years. 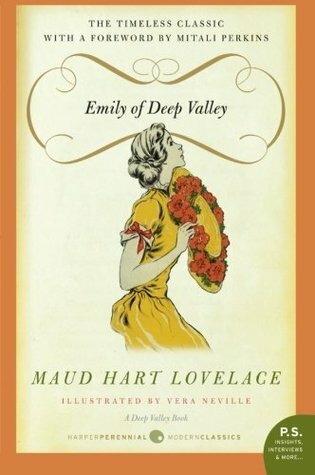 Emily Webster is a few years younger than Betsy Ray and Tacy Kelly, the stars of Maud Hart Lovelace's Betsy-Tacy series, but she lives and moves within the same community in Deep Valley, Minnesota. At the start of this stand-alone novel about Emily, she is just about to graduate high school. The day is bittersweet, both because Emily's parents died years ago and can't be there to celebrate it with her, and because she won't be going off to college, as she perceives that her grandfather, a man from a different time period, would prefer that she stay home and keep house for him. As the summer passes and her classmates all move onto the next chapters of their lives, Emily begins to see that things will have to change for her as well if she is going to avoid being lonely all the time. So, though she waits anxiously from news of her friends who have left home, she also begins to make the most of her new adult life in Deep Valley by going to dances, starting up a class, and helping some Syrian children make friends. As Emily begins to develop her own interests, she also develops confidence in her capabilities and the work she is meant to do slowly reveals itself. I really enjoyed this look at young adult life after the turn of the 20th century from the point of view of someone whose life hasn't been quite as charmed as that of Betsy or Tacy. 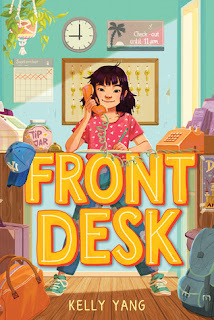 Emily is a vulnerable and likable underdog, and the reader is on her side from the outset, eager to see her find her path and come into her own. 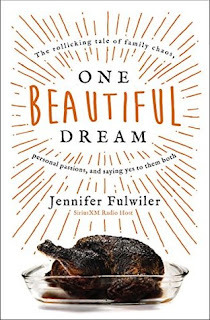 Though Emily's experiences are largely products of her time period, every generation of teenagers and twenty-somethings goes through that period of beginning to discern how they wish to spend their lives, and often this does involve going against the grain, or at least taking a slightly different path from one's friends. Emily, in her quiet way, gives girls a strong role model for charting the unfamiliar waters of life just after high school, and she provides a strong sense of hope as well, as things do ultimately work out for her. In terms of history, the descriptions of Deep Valley's Memorial Day celebration in which Emily's grandfather participates are a very interesting look back in time, and Emily's patriotism, especially, is a quality worthy of admiration that we don't often see mentioned in novels for kids. Reading aloud the chapter about Memorial Day would make a nice family tradition, I think, and could be helpful in reminding kids what Memorial Day is actually about. Understanding and enjoying this book does not require any prior knowledge of the Betsy-Tacy series, and I only saved it for last because it happened to be the last of the books that I acquired. 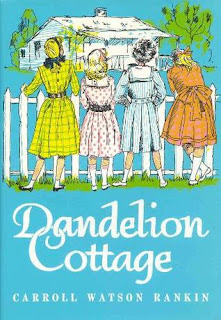 I tend to think of it as being in the same category as Carney's House Party or the later Betsy books, prior to her wedding, because, like those novels, it deals with questions more likely to be of interest to older teens, but there is no objectionable content that should keep the book from a younger child. There are also a lot of lessons to be learned from this book about self-confidence and marching to one's own drum beat that would resonate especially well during the middle school years, which is likely when I will pass it down to my own daughters. Minikin ("Minx") is the daughter of the much-feared witch Madam Snickasnee, who turns innocent children into flower pots, stirs up dangerous brews in her cauldron and refuses to allow her only child to attend school. Minx shares none of her mother's terrible qualities, however, and she is determined to do things her own way. When she begins going to school against her mother's wishes, Minx makes some new friends, and together they all try to use Madam Snickasnee's potions to conjure up a fairy who might be able to help them turn her flower pots back into children and maybe even rescue Minx from her unhappy home life. I read this book aloud to my three and five year old daughters in the days just before Halloween, and they were completely riveted. Myself, I was more amused by how old-fashioned the book felt and by how easily I was able to predict what was going to happen next. I did like that this witch was a complete villain, not just someone who was misunderstood, and I also appreciated that she received a fitting villain's comeuppance. I think sometimes it's good for kids to hear a story where good and evil are clearly delineated and evil is given the proper punishment. I also enjoyed all the different fantastical characters who popped out of the pot while Minx and her friends were hoping for a fairy. It was a fun way for my girls to learn about things like nixies and centaurs and the Pied Piper. The ending also does a nice job of resolving the book's tension in a way that isn't scary for young readers. 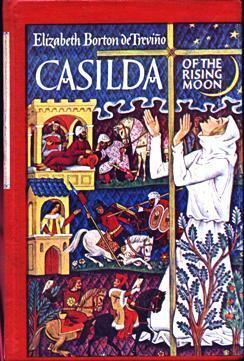 I also really enjoyed the vintage illustrations, which are simple pen and ink drawings. They break up the text nicely and really help explain how the magic pot works, and also give faces to the children who become Minx's friends, as well as to their kindly grandmother who serves as a surrogate caretaker for Minx. Even in the ebook edition, which is all we have, my kids were eager to look at each one and to decide which figure in each illustration was meant to be which character. This was a decent one-time read-aloud. 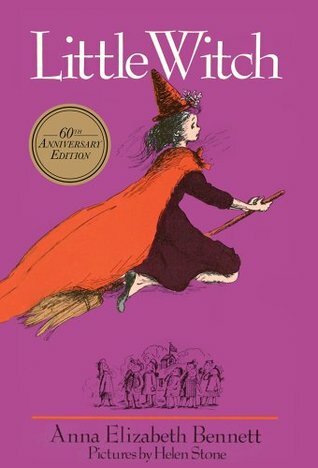 I don't think we'll make it a tradition, as there are other Halloween-themed books we may enjoy more, but I won't hesitate to read it again when my youngest daughter is ready to hear some chapter books in a few years. 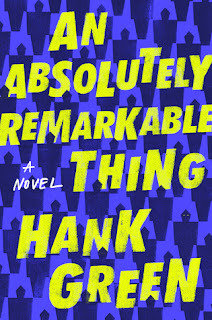 It's a solid three-star book that added a little festivity to our fall. It's the last month of the year already! Though I have read many books this year, I still feel an urge to read a ton in December to make sure I've gotten to everything I planned to read. My to-read list is enormous, and it includes four library books due next weekend. Fingers crossed that there is a lot of room for reading time in my schedule this week! I was surprised by how mature this felt. 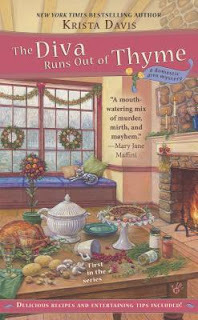 It had a lot in common with a lot of the adult cozy mysteries I read. I did a buddy-read with a friend on Instagram and we both loved it. 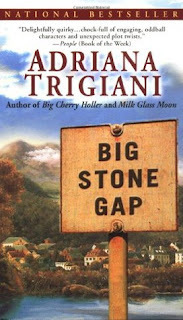 A great novel for Catholic families who like to see their faith reflected in fiction. I enjoyed the relationships in this basketball novel. Review coming soon. The stories in this collection were a little uneven, but considering they were written to be read aloud in church, it makes sense that they're not very long or involved. I have decided to be done with this series. This book was a struggle. I've read 18 chapters. It's fine, but so far I don't love it. I have jumped from one Instagram read-along to another so that I can have more time to finish it. I focused a lot on physical books this week, so this Kindle book took a backseat. This is the last book I need to read for a challenge. It's slow-going, probably because I feel the pressure to just get it done. This is a library ebook that is going to expire next weekend. I started it, but haven't gotten very far. I have been on hold for the ebook of this for months, so I was shocked when the paperback was just sitting on the shelf at the library. Though there is more talk of teen sexual activity in this book than I typically want to read about, the writing is really good, and I love the characters, especially Kitty. I chose this audiobook at random and got completely sucked in. This book is far superior to any of the Aurora Teagarden books. Prior to November 1st, I cleared my schedule to participate in National Novel Writing Month (NaNoWriMo). After four days, I decided to stop, not because I didn't think I could do it, but because I was simply not enjoying the act of writing. As a result, I started reflecting on my journey as a writer over the past 30 years, from kindergarten to motherhood. I want to talk a little bit about that journey today, as I continue to discern whether writing fiction is something I ought to be doing. I wanted to be a writer from the time I learned to write. I loved it when teachers set aside time for "Writer's Workshop" in elementary school, and I wrote completely un-self-consciously about the subjects that interested me, imitating books I loved, like Danny and the Dinosaur and Sarah's Unicorn. As I got into the middle school and high school years, however, I was tortured by the fact that I could never come up with topics to write about. I would start stories, and abandon them after just a page or two because I had nothing to say. Occasionally, this problem was alleviated by school creative writing assignments; under deadline, I always came up with something. I also found it very easy to hand-write hundreds of pages in a journal about the boys I liked and all the friendship dramas of my teen years. But I really struggled to write fiction, while all the while feeling like writing fiction was what I must do. I spent the next four years trying to conform whatever raw talent I might have had as a writer to the mold of what my professors considered "worthy." My classmates commented often on how much they wished their rough drafts could be as polished as mine, and one professor told me she liked to save my writing submissions for last when she was reading papers because they were "like dessert." She and another favorite professor really encouraged me to apply to graduate schools without ever making it known how unlikely they thought it was that I would get in, or how foolish it was to apply to more than one or two programs. Eventually, when I asked for letters of recommendation, they both kind of turned on me, accused me of being rude for asking for letters for so many schools, and actually made me cry in one of their offices on my 21st birthday. Later, when I happened to read their supposedly confidential recommendation letters, I found out that they didn't actually say many positive things at all. One said I was too quiet during workshop discussions and the other called me "offbeat." At the start of my senior year, I was rejected from the prestigious "Senior Comp." seminar, in which I would have been allowed to write a creative project for my thesis. In the spring, I was rejected from all six graduate schools to which I applied. (This prompted the professor who called me offbeat to say, "Well, if all you wanted to do was write, why did you even go to college?" Just imagine how happy it made me to hear that.) Finally, a third professor, one with a much more practical outlook, told me that I should really pursue a back-up plan and that even if I was a good writer, it was still not wise to plan on just writing. I was so grateful to her for her honesty, and so hurt by the fact that the other two professors hadn't had the courtesy to be as truthful. At that point, I put down my proverbial pen and applied to library school. Librarianship was clearly a vocation for me, and I excelled in it and enjoyed it. Working in the library renewed my love of reading which had been destroyed by the demands of English classes I did not want to take for a major (English) that I did not want to pursue. Because of my work in libraries, I started blogging, and because of my story time blog, Story Time Secrets, I was given the opportunity to write two textbooks for librarians which were published and even earned me a small royalty check. I have no doubt at all that the career path I followed after college graduation was the right one. For a while, I even thought those two textbooks would be enough to satisfy my urge to write, even though they were nonfiction. Now though, I haven't worked in a library in five years. I haven't done a story time in about 18 months. It's been over a year since I turned in the manuscript for my last book. I'm still reading, and still blogging, but without library work to occupy my energy, now I'm back to thinking about writing fiction again. It has been nearly 15 years now since I graduated college, and all the shame and disappointment I felt at 21 has largely faded. Looking back, I see the superficiality of academia for what it is, and I know without a doubt that I would not have been happy in that environment in the long-run. I also recognize that I am never going to be a writer of literary fiction. I don't even like reading much of it! As I read more and more of the books I enjoy - cozy mysteries, realistic children's novels, clean romances - I find myself realizing that my writing style is better suited to those genres. My imagination is frequently sparked into action while I'm reading, and I dream up characters and settings and consider the stories into which I might place them. The only thing I don't do with those ideas (yet) is write them down. This coming new year, I really want to start putting words to paper again. I don't have specific goals in mind just yet, because heading into a new year with lots of big plans always seems to end in failure for me, but my hope is that, by the end of the year, I will have completed a piece of fiction writing: a single chapter, a short story, a novella, a picture book manuscript - something. Until I have done that, I won't know for sure whether this is a calling I need to pursue or a pipe dream of which I need to let go. This has been sitting in my Kindle app for a long time so I decided to just quickly read through it. 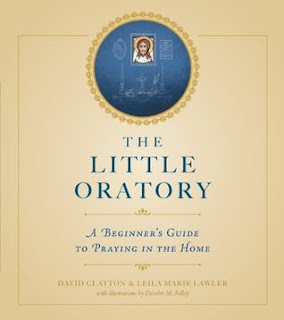 It didn't wow me, but it was better than this author's book on Catholic minimalism. I really enjoyed these stories, though they weren't quite what I was expecting. My book club will meet on Friday to discuss. 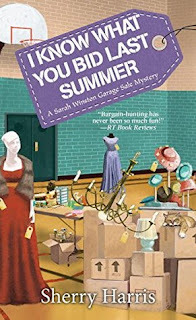 I really liked the characters in this cozy mystery and the audio narration was very good as well. I think my local libraries only have these on audio, so that's probably how I'll read the rest of the series. This book about YA librarianship was originally published in 1969, and I read the edition published on the occasion of Edwards' 100th birthday in 2002. As far as I'm concerned, it's just more proof that librarians need to study the roots of their profession; so much of what Edwards argues is being treated today as though it is new. I think this should be required reading in library school. I wish it had been for me! 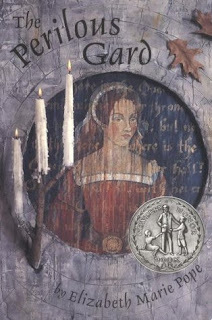 I really loved Rose Rita as the main character in this third book of the Lewis Barnavelt series. This was a fitting conclusion to the original trilogy. It took me forever to get through this book! The middle dragged quite a bit, but the ending was very satisfying and sweet. I read this because I had it lying around and it had been assigned to me in college but I didn't actually read it back then. 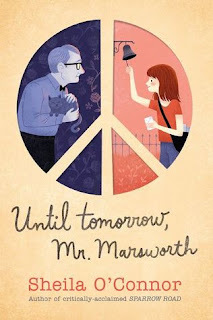 I liked the concept - a series of connected short stories introducing the residents of a small town - but though the writing was obviously good, it lacked any sort of sense of humor at all resulting in a very depressing reading experience. I ended up listening to the last third or so on audiobook and that did help. Narrator George Guidall's performance is excellent. 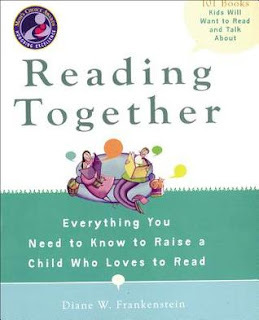 The read-along group with which I was planning to read this book was supposed to have a discussion on Saturday morning that doesn't seem to have happened, so I'm skeptical that the group is going to stick with it. I am switching back and forth between my Illustrated Junior Library edition and the audiobook narrated by Barbara Caruso, and though I definitely won't finish it this week, I'm going to try to finish it by the end of next week. I'm doing a buddy read of this book over the next three days with an Instagram friend. I have never read a van Stockum book I didn't love so I'm excited to get started. I read part of the first story in this book yesterday, and I can tell it will be easy to zip through. I wanted a quick light read for my next audiobook so I borrowed this from Hoopla. So far, it's actually better written than I was expecting. 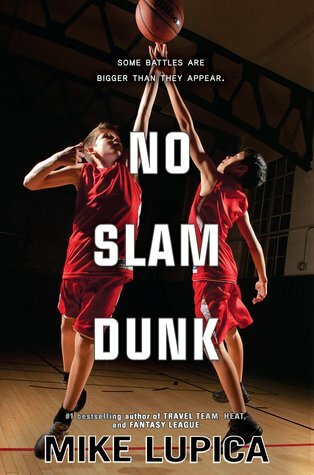 This middle grade basketball novel will be another quick read. I want to finish and review it this week, since I received an ARC and the book has already been out for three weeks.